Home > Around Town > 12 Kid- Friendly Day Trips from Dayton No need to pack your bags or make a hotel reservation. Here are 12 kid-friendly day trips from Dayton that offer plenty of family fun. Spring has sprung- and if you are like us you are feeling a little stir crazy! If you have already finished your spring cleaning (or maybe not!) Here are 12 day trips from Dayton that won’t leave you too far from home but far enough to be able to get away and enjoy quality time with your family! 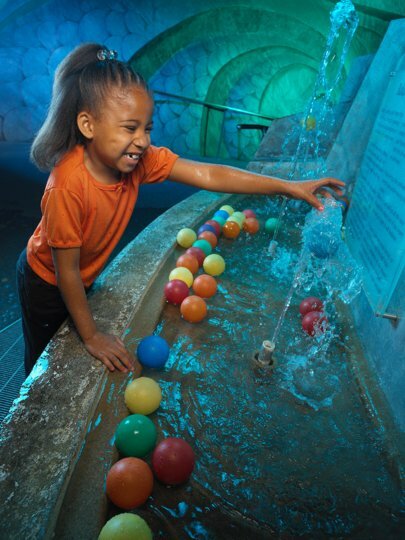 COSI provides an exciting and informative atmosphere for those of all ages to discover more about our environment, our accomplishments, our heritage, and ourselves.They motivate a desire toward a better understanding of science, industry, health, and history through involvement in exhibits, demonstrations, and a variety of educational activities and experiences.When you go check out the Little Kids Space, Sensory- Friendly area, Camp- In COSI, Camp Cosi or even schedule your child’s next birthday party! Drive time: ~1 hour 15 minutes The Zoo is home to more than 9,000 animals representing 650 species from around the globe. The Zoo provides more than $1 million annually to support over 70 conservation projects worldwide. A recreation and education destination that includes the 22-acre Zoombezi Bay water park and 18-hole Safari Golf Club, the and Aquarium! You won’t find many places like this because there are very few places to dig for fossils in the Cincinnati area that are safe and accessible. Since the plot of Trammel Fossil Park has never been disturbed, there is a plethora of fossils in very good condition. Be sure to check out their website for complete directions to the park! The Great Serpent Mound in southwest Ohio is the world’s largest serpentine effigy mound. Writhing in a seemingly effortless way, the mound winds through trees on a cliff overlooking the Brush Creek Valley of Adams County. This outdoor museum features larger-than-life, colorful, three-dimensional sculptures kids will love! Sprawling hills and lush greenery make for a gorgeous mini getaway. Pack a picnic and eat with a view of some of the most awe-inspiring feats of artistic vision. If you’re feeling lazy, rent an art cart and enjoy the sites on wheels! Playgrounds? Petting zoo? Mini golf?! Young’s Jersey Dairy is absolutely worth a trip to Yellow Springs. This 268-acre preserve protects one of the most spectacular dolomites and limestone gorges in the state. In some areas, cliff overhangs have broken off, forming massive slump blocks scattered along the valley floor. You’ll meet Thoroughbred legends at the Hall of Champions, see interesting breeds at the Parade of Breeds Show or head out for a walking barn tour to meet our police horses, see our blacksmith facility and explore a kids’ barn with stories and activities perfect for young visitors. Also, visit their museums for a comprehensive look at horse history and culture around the world–there’s nothing else like it! Celebrate history’s greatest horses at the memorials and statues located around the park. And take a horseback riding tour of the grounds to capture the true essence of the Kentucky Horse Park. The Wilds is a private, non-profit safari park and conservation center that combines cutting-edge conservation science and education programs with hands-on experiences and one-of-a-kind adventures that include ziplining, horseback riding, fishing and more! The Red River Gorge is a unique, scenic natural area featuring “gorge”-ous sandstone arches and towering cliffs. Outdoor enthusiasts come to the gorge year round to enjoy hiking, camping, canoeing, wildlife viewing and other recreational opportunities. Kings Island is the largest amusement park and water park in the Midwest. And for good reason. Start with the thrill rides. The 5,282-foot, 80-mph Diamondback roller coaster. Then there’s the Vortex, where you go through two vertical loops, one corkscrew, one boomerang turn and a 360-degree helix. Then there’s the kid-centric fun like Planet Snoopy. There’s also Dinosaurs Alive!– 60 life-sized dinos spread across seven acres of Jurassic thrills!